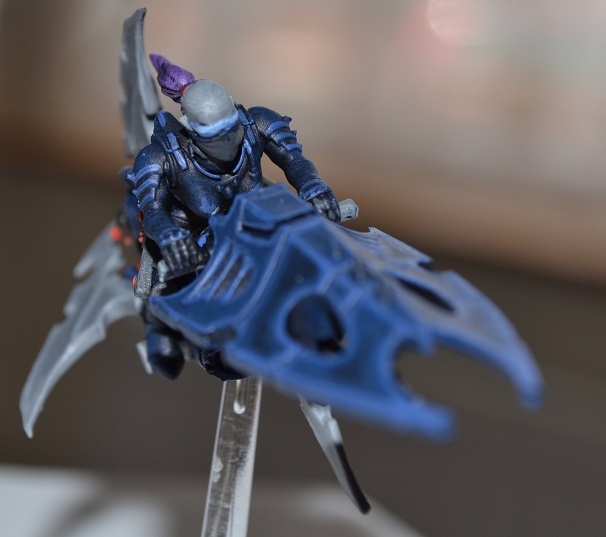 Power Through Pain – Warhammer 40,000 Prototype Dark Eldar Wyche and Reaver Jetbiker! | Blood Shines Gold And All Coin Spends. 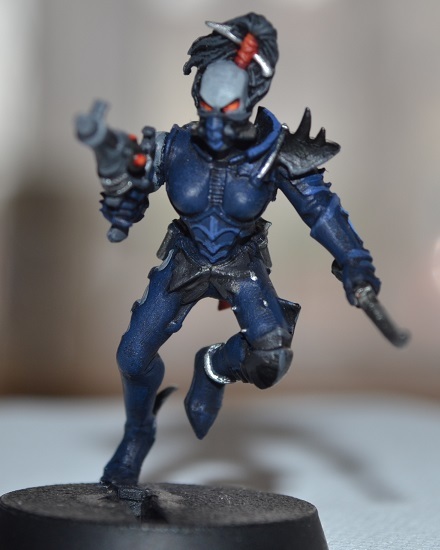 So following my steady progress with my Dark Eldar I’ve now got a unit (warriors) and HQ (Archon) done, so its time for the next wave: the units of the Wyche Cult! So this is the prototype scheme for the as yet unnamed Wyche Cult, again working from the same scheme to give my army a unified look. I love the Reaver figures, such a great sense of speed and I wait to break out the finished unit and turbo boost all over the place! 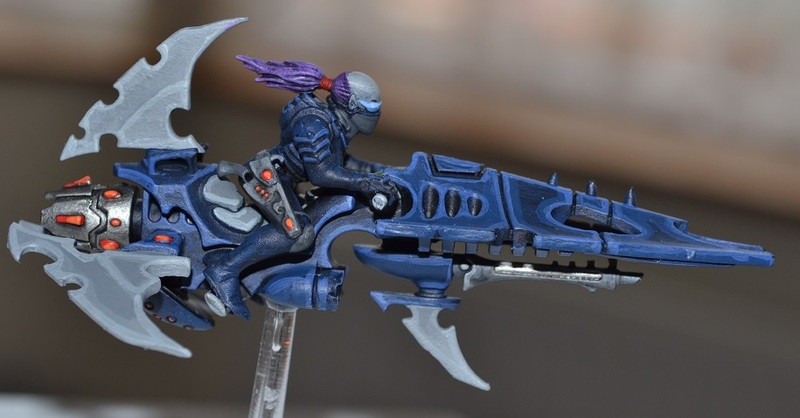 Hey I just discovered your dark eldar scheme and would love to copy it. Is there any chance you still remember the colours you used for this scheme.